1833 Company founded by Benjamin Hick with his two son John and Benjamin. 1833 Having left Rothwell, Hick and Rothwell, Hick set up a factory as Benjamin Hick and Sons. 1833 Patented Locomotive No. 6689. 1837 The first engines delivered were seven four-wheel passenger type for the London and Birmingham Railway the first being delivered in July 1837 and the remainder in 1838. 1851 Award at the 1851 Great Exhibition. See details at 1851 Great Exhibition: Reports of the Juries: Class VI. From 'Short Histories of Famous Firms' by Ernest Leopold Ahrons The Engineer - 1920/07/30. After leaving Messrs Rothwell, Hick and Rothwell, Mr B. Hick began to build locomotives at his new works. The earliest engines constructed by him appear to have been seven four-wheeled passenger engines for the London and Birmingham Railway, to the orders of Edward Bury. The first engine of this order was recorded by the railway company as having been delivered in July, 1837, and the remainder in 1838. 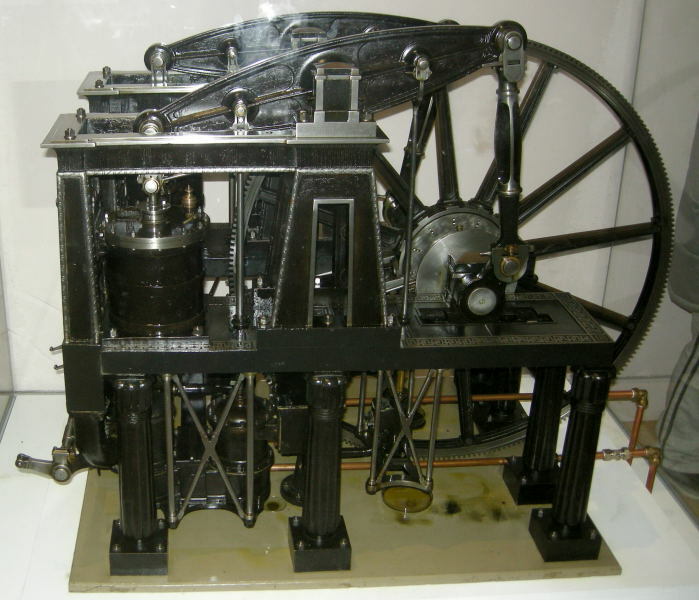 Much of the earliest locomotive work of the firm was devoted to Bury’s type of engines, and most of them were built to Bury’s orders and designs, and had the standard dimensions then adopted by that engineer, with 5ft. 6in. “single” drivers and 12in. by 18 in. cylinders. Four of the type were delivered by Messrs Hick to the North Union Railway, in 1838-9, nine to the Midland Counties Railway, 1840-1, one to the Manchester and Leeds Railway, 1841, and three more to the London and Birmingham Railway in the same year. The Period 1830-50 was one of singular importance for the engineering industry of this country, and in its history Lancashire engineers played a very great part. Situated as it is in the midst of coal mines and cotton mills, it is not surprising that the town of Bolton became a centre of mechanical engineering. The name of “Hick” was probably as famous in Bolton as “Whitworth” in Manchester, “Maudslay” in Lambeth, or “Tangye” in Birmingham. It was Benjamin Hick who started the Soho Ironworks at Bolton in 1832. He had previously been in partnership in the firm of Hick and Rothwell, who owned the Union Foundry in the same town – a firm which is no longer in existence, having been absorbed many years ago by the Bolton Iron and Steel Company, which in turn was taken over by Henry Bessemer and Co in 1906. Benjamin Hick with his two sons John and Benjamin, began business as general engineers at the Soho Works with the title of B. Hick and Sons. This page was last edited on 12 April 2017, at 12:59.